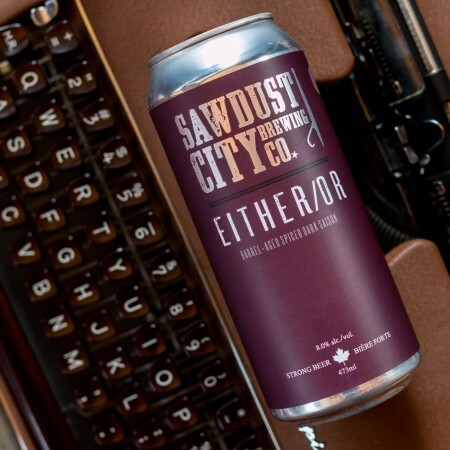 GRAVENHURST, ON – Sawdust City Brewing has announced details of the third of its 52 weekly beer releases for 2019. A blend of two barrel aged beers, a dark saison and a weizenbock, This funk-forward ale offers the best of two worlds. Lots of oak and vanilla upfront, an interesting nutty flavour through the middle followed by a tart, funky finish. Definitely a flavour forward beer. Either/Or will be released tomorrow (January 17th) and will be available at the Sawdust City retail shop and online store as well as select beer bars in Ontario while supplies last.